I'm in two places at once! This post can also be found on the You Can Do This Project site. Thanks Kim for having me! Last Saturday was a magical day. 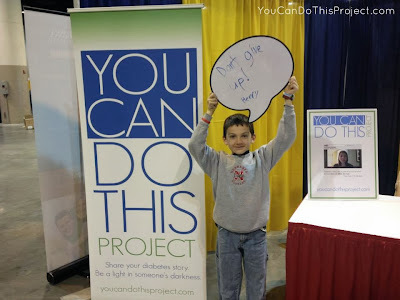 On October 12th, I spent the day in Omaha at the Taking Control of Your Diabetes Conference. 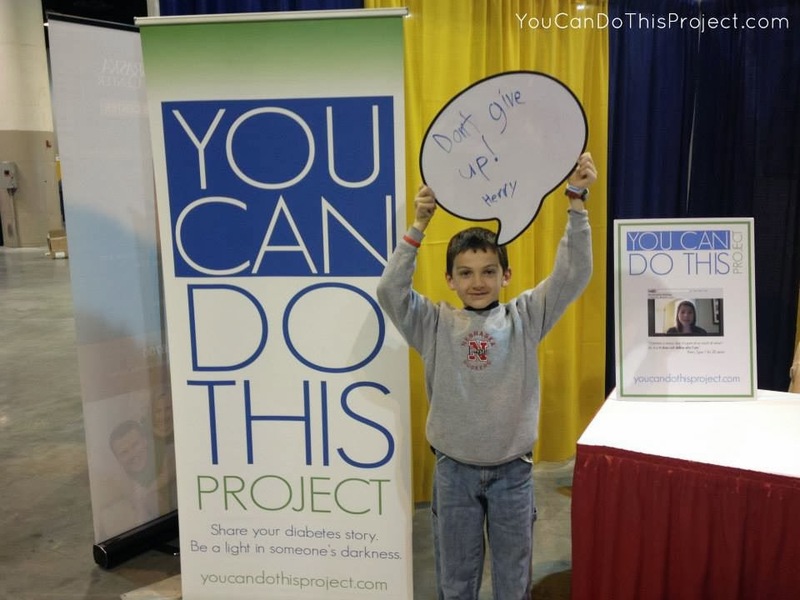 Well, to be more precise, I spent the day in the exhibit hall, volunteering at the You Can Do This Project booth. It was me, Kim, and my husband, Josh. This was my fourth time volunteering for YCDT. I worked the booth at Friends for Life, at the JDRF Omaha walk, and at TCOYD in Des Moines. Though each event has been different, there are some things that stay the same. Each time I work the booth confirms just how much this project is needed. The response from the people we meet is overwhelmingly positive. Saturday was no exception. Not everyone jumps for joy by any means, but most people seem to think it's a great idea. We passed out a lot of fliers and bracelets, and talked to plenty of people. But there are moments that stick out in my mind. While I sincerely hope everyone we talked to will check out the project, there are a few people that I REALLY hope do. Their diabetes makes them feel so alone, or they are so frustrated by lack of progress. I want them to know they are not alone. None of us are. It wasn't only people with diabetes we talked to. 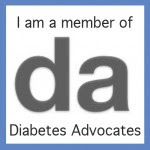 TCOYD has a track for Diabetes Educators and other healthcare professionals who work with PWDs. Quite a few of them stopped at our booth. Know what was awesome about that? Their reactions. So many of the CDEs were SO EXCITED when we explained what YCDT was. It was fantastic! They took lots of fliers to distribute to patients. One CDE even asked Kim and I how to encourage her patients to get involved online. Fist bump! I have real hope that we'll see some follow-up from these CDEs. Very cool. In the sea of adults, we did meet a couple kiddos. Kennedy is amazing, and was our only video volunteer of the day. If you haven't seen her video yet, stop and watch it right now. I'll wait. We also met Henry, who was so sweet and bright. It was truly a joy to meet him. I mean, look at his face! If he can do this, then I totally can. For me, the highlight of the day was when a gentleman with a medal came up to our booth. A 50 year Joslin medal, to be exact. He's actually been living with Type 1 Diabetes for 63 years. Which completely takes my breath away. He graciously spent 15 minutes talking to Kim and I about his life. I can't even put into words how much hope he gave me. Seeing him standing there, talking to us, in pretty good shape after living with diabetes for 63 years. I'm getting teary just thinking about it. It's a moment that will stay with me. And that's what YCDT is all about. Hope. Hope because you aren't alone. Hope because mistakes don't mean you've failed. Hope, because we can do this. Together. We really can. Your message here is so touching - we really aren't alone if we just reach out our hands! Thanks! I'll chose to reply here rather than on the YCDT page -- and thank you for writing such a touching post. This is a reminder that YCDT isn't just about DOC'ers motivating each other, but that it can reach beyond our little clique and really help people who aren't quite confident enough to make a video themselves. All I have to say is that if there was a like button like Face Book I'd press it!